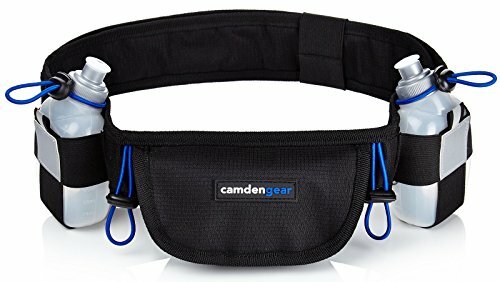 The Hydration Running Belt by Camden Gear is not your ordinary running belt because it allows for running with more ease and carrying your water bottle hands-free. How does it do that? By incorporating a water bottle holder into the belt, you will be able to stay hydrated throughout the course of your running. This product fits waist sizes up to 43 inches (109 cm), making it ideal for both men and women. It has a velcro strap that allows you to adjust the fit, so it will sit on your waist perfectly. This way, the belt won’t bounce or shift while you move. It fits even the monster sized phones. Aside from this, the product also has large pockets that can fit most smartphones, even the iPhone Plus and Samsung Note. Of course, the pockets are sure to protect your other valuables such as money, credit card, keys, and more. 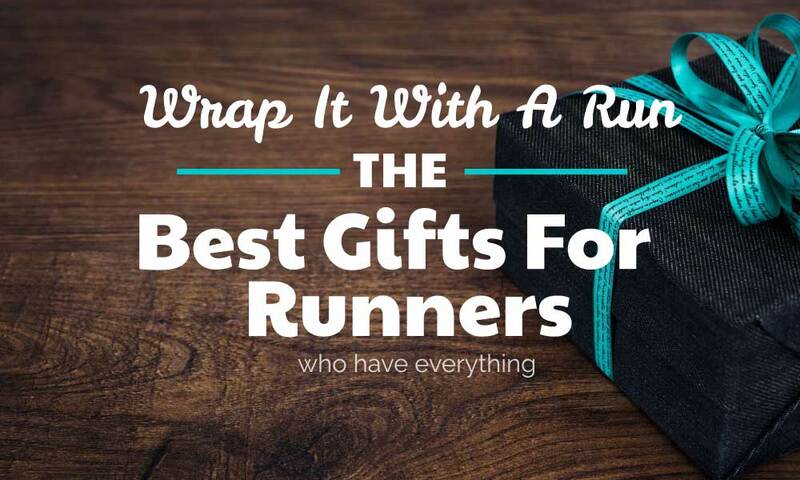 In addition, the running belt also includes four elastic straps used for hanging keys, race bibs, and gel packs. 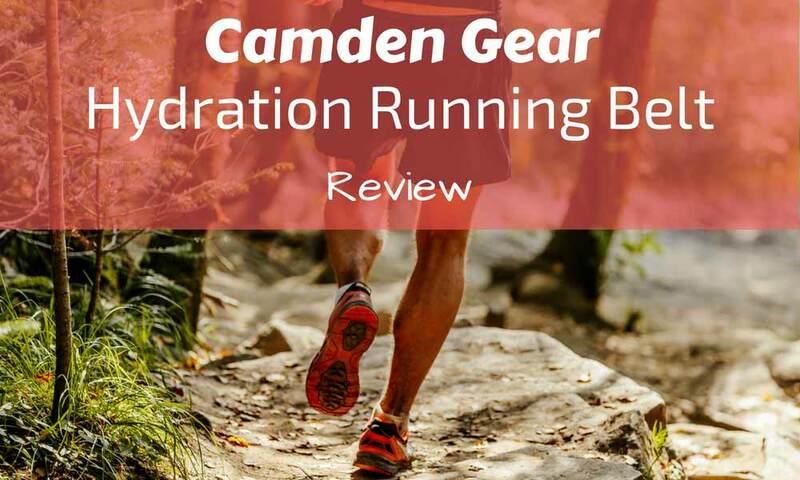 Overall, the Hydration Running Belt by Camden Gear is lightweight and snug, and you will hardly notice you are wearing it. It fits the body and does not weigh you down, unlike the other hydration belts. This running belt comes complete with two six-ounce (0.18 liters) bottles that are perfectly sized and are easily accessible. Whether you are training for a marathon or just love running, having a hydration running belt is a must. 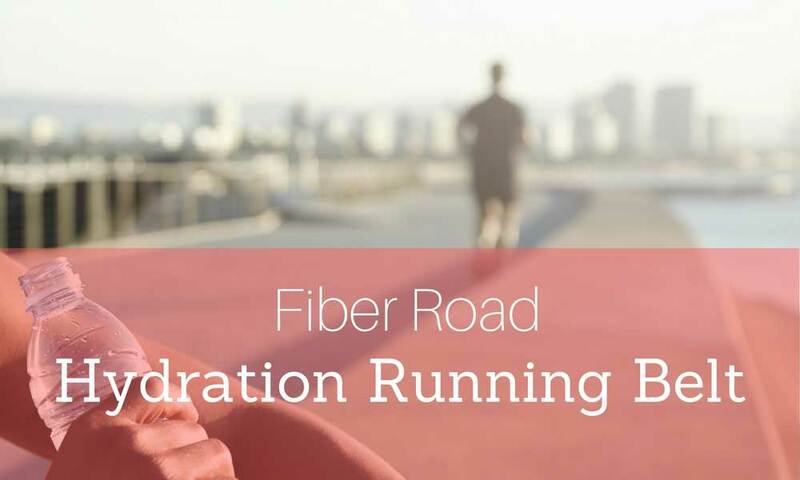 This will keep you energized and hydrated as you run to the finish line and cover your daily kilometers. One of the best products to choose is the Hydration Running Belt by Camden Gear. This belt is a highly-rated product on Amazon, with 4.3/5 stars from more than 1000 verified purchasers. Camden Gear is snug and lightweight, and bouncing and shifting are minimized. 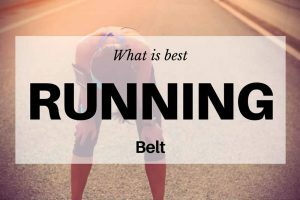 In looking for a good running belt, size is an important factor. This one is definitely big enough to accommodate most smartphones, even if they are as big as the iPhone 6/7 Plus or Samsung Galaxy S5. 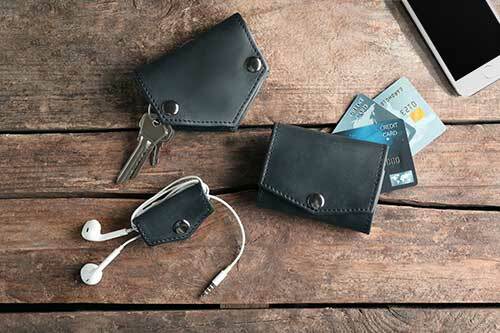 It also has other pockets that will fit your credit cards, wallet, and IDs as well. Since runners often need a place where they can store their race bibs, the manufacturer added four elastic straps, too. You may also use them for hanging your keys and gel packs. Good for traveling, hiking, and trekking as well. Another good quality of this product is that it’s adjustable. In fact, it can fit waist sizes up to 43 inches (109 cm). 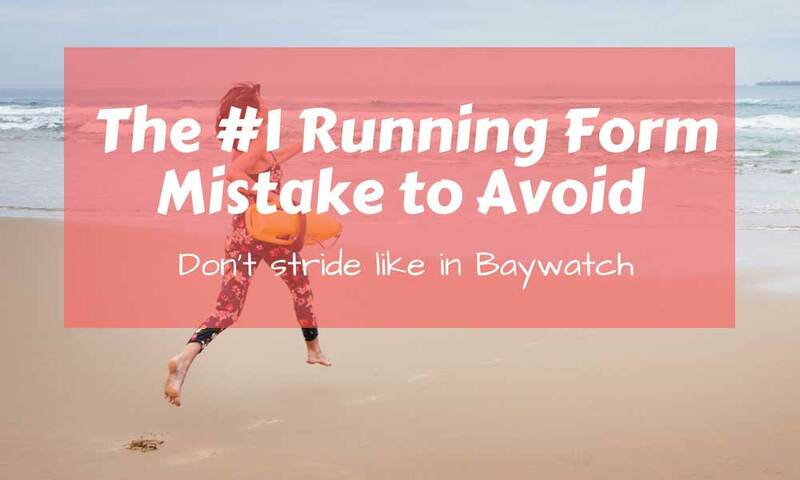 There is a Velcro strap for adjusting the fit, so the running belt will sit on your waist perfectly. 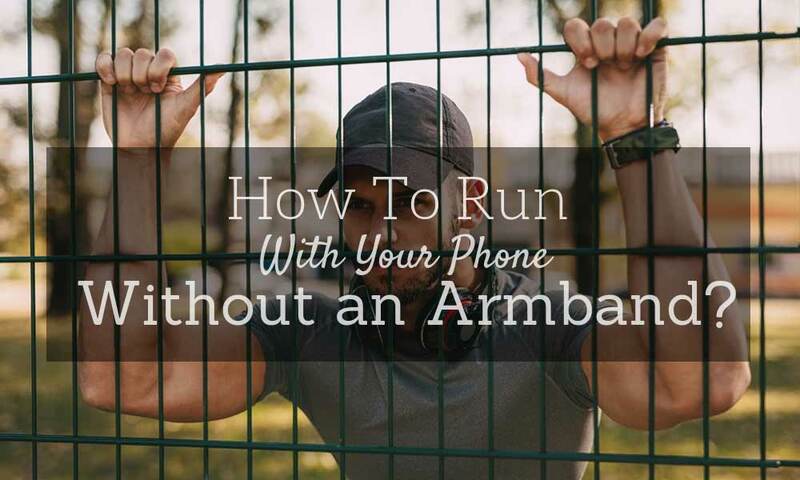 You will have no trouble moving or running because bouncing and shifting are minimized. 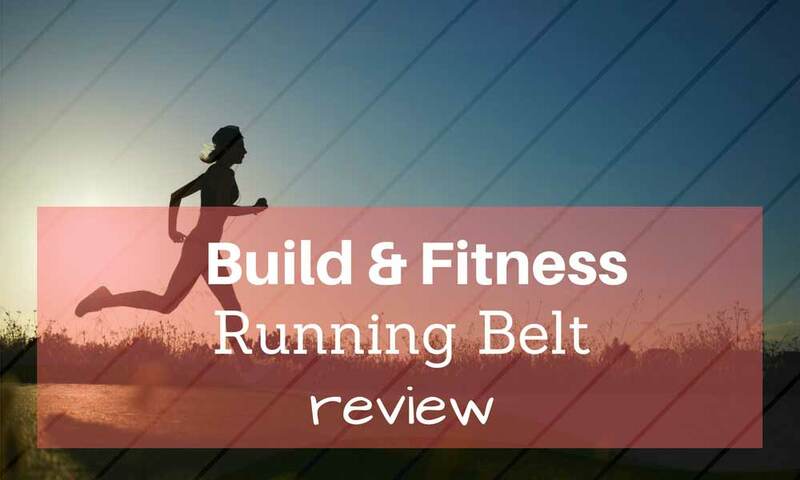 According to some reviewers, the running belt is so snug and lightweight that you might forget you are wearing it at all. You don’t get weighed down, either. 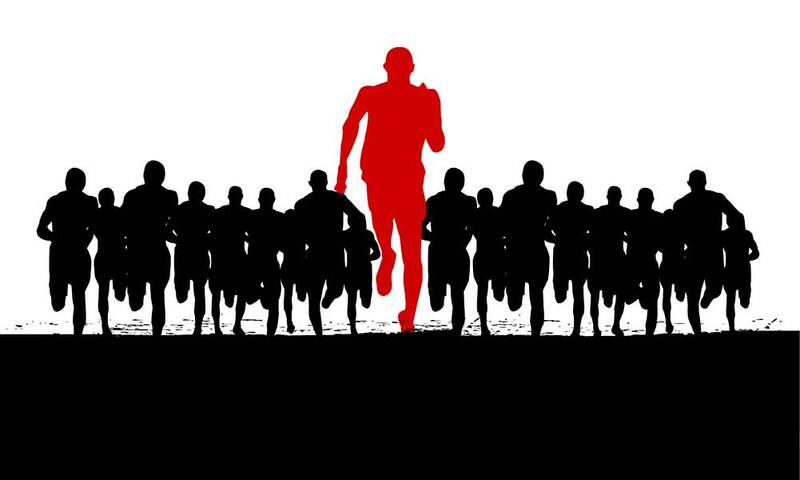 This is a good thing for those who are fitness enthusiasts since they can focus more on achieving their goal. The belt only comes in one color combination, black with blue straps, and the two six-ounce bottles that are included in the package are gray. The bottles are perfectly sized so that you can get them in and out of the belt with ease. 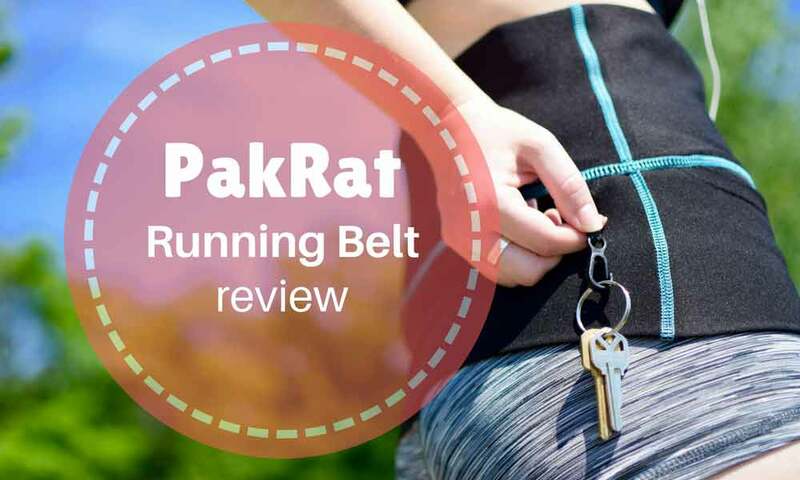 While this product is designed as a running belt, some reviewers say that it is good for traveling, hiking, and trekking as well. The hydration running belt has a lot of good features, but it is not for everyone. 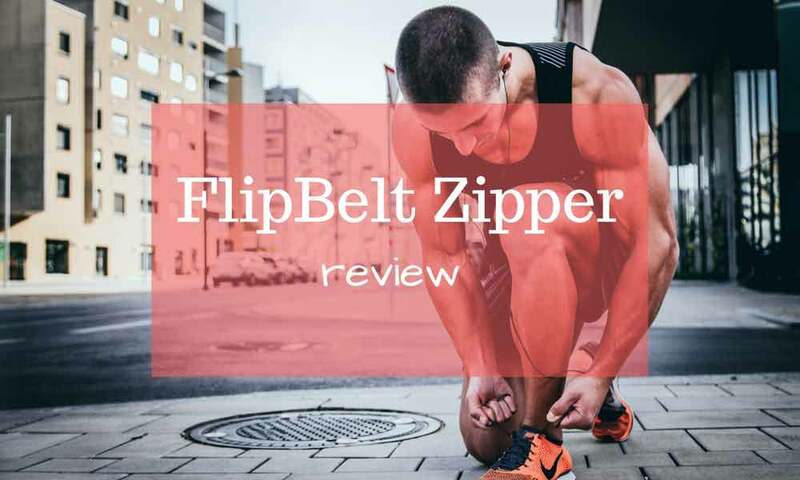 According to some reviews, this product is great for most men but not for small girls who are slim because the belt tends to bounce if it is not a perfect fit. Buying this product without trying out the fit first might not be the best idea. Others comments about this product say that the belt is too bulky and that it is not advisable to wear during a race. 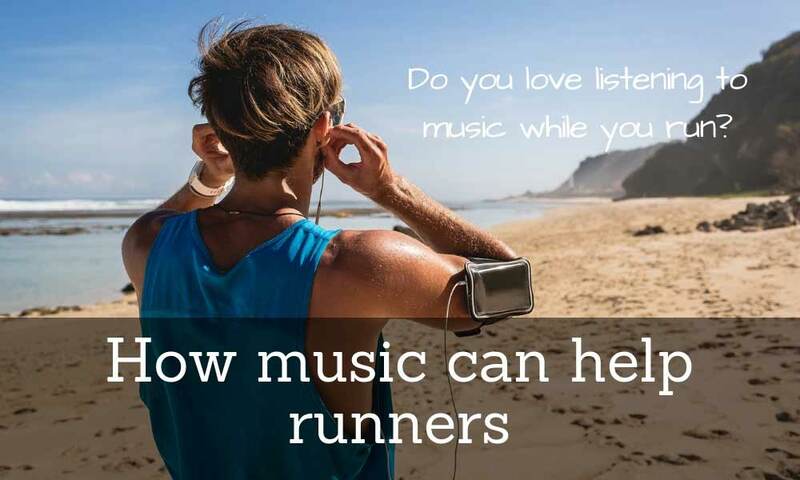 Thus, it is only good for training and not for actual marathons. Lastly, many also hoped that the water bottles were bigger to carry more water. Overall, the Hydration Running Belt by Camden Gear is commendable. Despite some drawbacks, it is still a better choice over the other brands on the market. Some of its great features are the size that fits even the monster phones and the perfectly sized bottles that are so accessible.